In an interview with Le Monde, French Prime Minister Manuel Valls speaks candidly about his country's mounting problem with radical Islamic terrorism. After the latest terror attack on French soil, in which two terrorists later claimed by ISIS beheaded priest Jacques Hamel in a church near Rouen in Normandy, Valls says it has become clear that "we need to reset and invent a new relationship with Islam in France." Part of this new relationship, says the PM, should involve efforts to prevent radicalization of French Muslims by elements coming from abroad, such as ISIS. To this end, Valls called for Imams of French mosques to be "trained in France, not elsewhere," and added that he was "open to the idea that - for a period yet to be determined - there should be no financing from abroad for the construction of mosques," reflecting the view that mosques in France have been used as centers for radicalization of French Muslims - especially the young - by international extremist groups. 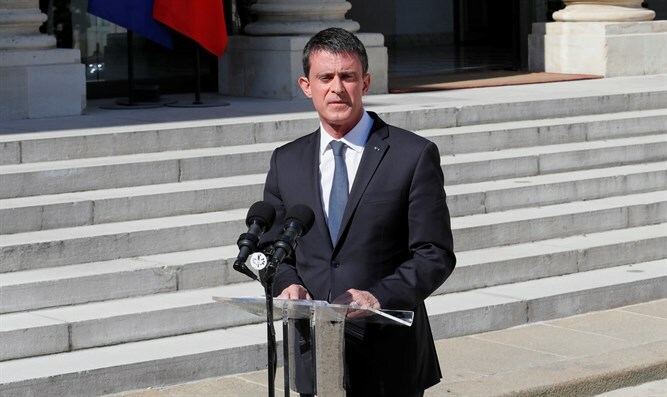 In response to questioning about the apparent ineffectiveness of counter-terrorism security measures, Valls admitted that there was a "failure" in the case of 19-year-old Adel Kermiche, one of the two terrorists involved in the church attack. Kermiche had been released from jail pending trial on terror charges, merely being fitted with an electronic tag. Judges should henceforth rule on these matters with a "case by case approach," said the PM. Valls came under some fire after saying that France "will have to learn to live with terrorism" in the aftermath the earlier terror attack in Nice.